Charles R. Drew University of Medicine and Science is a private four-year professional medical schoo…. 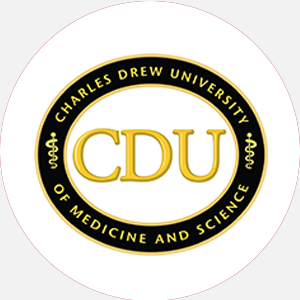 Charles R. Drew University of Medicine and Science is a private four-year professional medical school. Recommended by the McCone Commission after the civil disturbance in Watts in 1965, the Charles R. Drew Postgraduate Medical School was incorporated in 1966 as a private nonprofit corporation. In 1969, it opened its doors as the educational component of the King/Drew Medical Center, allied in its vision and purpose with the Martin Luther King Jr. General Hospital, where students receive clinical experience. The institution’s official name was changed to the Charles R. Drew University of Medicine and Science to reflect an expanded academic role and identity in 1987. The school pursues a mission that embraces the needs and problems of society’s most disadvantaged and neglected communities. Its global perspective finds commonality in the plight of the urban ghetto of Los Angeles, the rural villages of Africa, and the peasant farmlands of Asia. The Drew mission finds inspiration in the life and work of the man for whom the University is named. Dr. Charles R. Drew was a distinguished surgeon who gave courage and offered talent to the care of others and left behind a legacy of medical discovery. His research and application theories regarding blood and its preservation are among the most significant developments in contemporary medicine. Yet, Dr. Drew died as a result of being denied blood plasma because he was a black man. One of only four black medical schools in the nation, Charles R. Drew University interprets its mission in a unique approach of academic models and community programs that address the medical, educational, social, and economic needs of underserved populations. The Drew/UCLA Medical Education Program offers a curriculum and clinical programs for graduate and postgraduate studies in medicine. American Medical Association (joint program through UCLA). MCAT scores must be submitted by May 28 (MCAT exam should be completed no more than four years prior to matriculation). Other requirements include 1 year of college mathematics, to include at least 1 course in algebra; calculus is highly recommended; 1 year of college physics, with laboratory; 1 year of college biology, with laboratory; 1 year of upper-level biology should be included; 2 years of college chemistry, with laboratory and including at least 1 course in organic chemistry or quantitative analysis; at least 1 year of organic chemistry; 1 year of college English; and 1 year of a foreign language, preferably Spanish (exempt if proficiency exam passed). Courses recommended under the requirement for biology are cell biology, genetics, embryology, physiology, histology, and anatomy. Courses under the requirement for English may include composition, literature, or other courses emphasizing reading comprehension. Three letters of recommendation or composite report from a preprofessional advisory committee of the student’s college or university are needed by January 29. Interview by two members of the Admissions Committee by May 28. Premedical requirements must be met by all students. Application for admission should be sent to the American Medical College Admission Service (AMCAS), Association of American Medical Colleges, 2450 North Street Northwest, Washington, DC 20037 by November 15 of the year preceding anticipated entry. A application fee is required. Completion of two basic science years at the Westwood campus of the UCLA School of Medicine, to include the following for the first-year fall semester: 5 behavioral sciences, 2 biomathematics, 1 doctoring, 8 gross anatomy, 4 interactive teaching (I & II), medical ethics, and 5 microscopic anatomy; first-year spring: 6 basic neurology, 5 biological chemistry, 4 biological chemistry lab, 8 physiology, and doctoring; second-year fall: 2 epidemiology, 8 general pathology, 5 general pharmacology, 2 interactive teaching, 8 microbiology and immunology, and no clinical correlates; second-year spring: 12 pathophysiology of disease, 12 clinical fundamentals, 1 clinical pharmacology, 3 psychopathy, and 2 genetics. Completion of junior-senior clinical continuum at King/Drew Medical Center of fifty-eight–week clerkship must include the following weeks: two anesthesiology, fourteen medicine (I and II), eight obstetrics-gynecology, two otorhinolaryngology, eight pediatrics, two primary core, two primary-care selective, six psychiatry, two radiology, and twelve surgery (I and II). Also needed are twenty-one months (one half-day week) of primary-care continuum and twenty weeks of electives, of which eight weeks must be subinternships selected from UCLA handbook and four weeks must be at the 400 level; the remaining twelve weeks may be taken at any site by approval of the Dean of Student Affairs. Completion of a one-week prologue to medicine course is conducted at UCLA. Campus Regulations: Students are bound by the conduct of the Medical Code of Ethics. An automobile is required for transportation to affiliated hospitals in second, third, and fourth years. Handicapped Services: Wheelchair accessibility. August-May (semesters) Commencement and conferring of degrees: May One summer session for seniors. Postgraduate Programs: Anesthesiology, Dentristy, Dermatology, Emergency Medicine,Family Medicine, Internal Medicine, Obstetrics and Gynecology, Ophthamology, Oral Surgery, Orthopedic Surgery, Otolaryngology, Pediatrics, Psychiatry, Radiology, Surgery Bachelor of Science: Coordinated Program in Community Nutrition, Physician Assistant Studies Primary Care Master\’s Degree: Nurse midwifery Education Bachelor\’s Degree: Physician Assistant Studies, Medical Imaging Technology ssociate Degree: Alcohol and Other Drug Studies, Health Information Technology, Medicial Assistant Studies, Pharmacy Technology, Radiographic Technology. Certificate: Clinical Coding Specialist, Diagnostic Medical Sonography, Nuclear Medicine Technology, Substance Abuse Counseling.